There have been many prophecies of a great “consciousness shift” predicted to occur in our present time. This includes Hopi and Mayan prophecies, and more recently prophecies from Edgar Cayce and other clairvoyants. These have been echoed by messages from ET abductees and contactees. The “shift” is said to include a dramatic increase in the level of consciousness on the Earth, increased awareness of advanced off-planet civilizations, and disruptive Earth changes. Dolores Cannon hypnotically regressed thousands of individuals and reached a similar conclusion. She was told that the Earth is becoming a higher-dimensional planet, in their terminology, a “Fourth Density” and possibly even “Fifth Density” planet. Recently whistleblowers in the so-called “Secret Space Program” have echoed similar predictions, and measurements by NASA of changes in the sun and planets appear to confirm that a shift is underway. In this talk we review some of this evidence, evaluating how strong it is and how it may be affecting consciousness, psychic ability and spirituality on the Earth. Are we truly entering a time of a “great Consciousness Shift?” If so, what is the evidence for it, and what is the science that could explain these changes we are seeing? And if this is true, what will happen next? One of the most intriguing messages encountered in this exploration is that, as the Earth shifts its vibration upward into “Fourth Density” and beyond, it will enable us to finally accept openly the reality of off-planet civilizations who have been here for a long time. This shift makes it easier to accept and interact with them. In the words of several contactees, “This will enable the Earth to join the Federation.” Viewed from this perspective, this is a momentous change, and may even be one of the primary motivations of the UFO abduction and hybridization programs. As a result, the “shift” may be central to understanding our relationship with our cosmic neighbors. Dr. Swanson has just completed a ten year study of higher consciousness as it manifests in the Afterlife and the science of the Soul which enables us to understand these events and relate them to present science. From this perspective, he presents a scientific model for how consciousness is affected by these extraordinary events, by the great “shift” and by ET contact, and by Out of Body and Near Death experiences which introduce us to these higher dimensions. He also presents a scientific model which may explain the cause of the “shift” and help us understand the transformation that is taking place in our solar system. This website is still under construction. Purchase of Dr. Swanson’s three books can be made at lowest price by emailing him directly at claudeswanson@gmail.com. 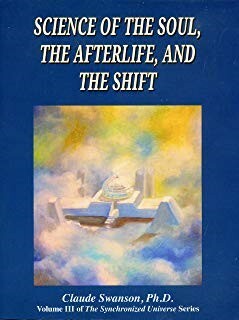 Dr. Swanson has just completed a new book on the “Science of the Soul, the Afterlife and the Shift.” It is the key to understanding consciousness and the purpose of life. The Soul is the essence of who we are. It is the center of our consciousness and our identity. When we look out at the world, we see it through the eyes of the Soul. It is who “we” are. And our Souls live forever. 1. Near Death Experiences (NDE) in which individuals have revived after clinical death and described what they saw. 3. Electronic Voice Phenomena (EVP) in which departed spirits leave messages recorded on electronic devices. 5. “Direct Voice” Mediumship in which spirits create audible messages in their own voice, accent and language. They can be heard and recorded by anyone and reveal information unknown to others. 8. Automatic writing: spirit communication through physical manipulation of the writing hand of the medium, later verified as details of the previous life. 9. Séance phenomena: manifestation of physical body of deceased spirit through “Ectoplasm,” verified with castings and infrared photography. 10. Messages in dreams and visions (often comes to family members of the departed). 11. Possession or spirit attachment – often the cause of psychological problems or unusual abilities. Methods of depossession that reverse the condition. 13. Accounts and sacred texts of Adepts and masters who can “visit” the Afterlife and higher planes of consciousness at will. Each type of evidence is described extensively with photographs and scientific evidence. Dr. Swanson presents a scientific model for “where” the Afterlife exists and how the Soul continues to exist after death, and preserves the memories, knowledge and personality of the individual. There are two important scientific elements in understanding the Afterlife and Soul. One of these is the “Synchronized Universe Model,” or “SUM” developed in Dr. Swanson’s first book. [ >>>LINK TO VOL I] it explains that we live in a “multiverse” with many parallel realities of different frequencies. Our awareness of a plane of “reality” depends on how we are “synchronized” with that plane. At death we are no longer synchronized with our familiar plane of physical reality, and shift our frequency to one of the Afterlife planes. The second component of the scientific explanation is the energy of “Torsion,” discovered by Russian scientists in the 1950s, and central to consciousness and to understanding paranormal and healing phenomena. Dr. Swanson’s second book, “Life Force,” is devoted to this subject [ >>>LINK TO VOL II]. It is the energy that makes up the Soul, and continues to survive after the body dies. It carries our consciousness and makes up the center of our identity. The “Astral body” observed during out of body experiments is an example of this energy. Dr. Swanson explains how these two principles explain the many phenomena of the Afterlife. Dr. Swanson discovered in his research that an important “Consciousness Shift” is underway on the Earth at this time. This great “Shift” was predicted by the famous American psychic Edgar Cayce, and was predicted to occur around the time of the new millennium. Similar prophecies are found among the Hopi and the Maya, and have been echoed in clairvoyant messages from many sources in recent years. Recently scientific confirmation has appeared in NASA measurements that are consistent with a change in the background torsion energy of space. Russian research indicates that it can serve as the trigger for this “consciousness shift.” Therefore the evidence appears to be in place that a genuine consciousness shift is underway and the physics behind it can be explained by Dr. Swanson’s model. The timing and nature of this shift are described in detail. As our understanding of consciousness advances, we are learning that, through thought, we actually “create” the physical world we experience. For this reason, it is vitally important to integrate this knowledge with contemporary physics. It is for this reason that we recommend the “Global Peace Prayer” (see link) it is important to harness this powerful force of thought and intention and consciousness. It is the key to creating the world that we want. Dr. Swanson’s books explain the “new physics,” what Western science has left out or covered up. They are the keys to understanding “spiritual” and “paranormal” events, UFOs, Out of Body experiences, levitation, teleportation, ghosts, Near-Death Experiences, and the nature of the Afterlife. It explains how “Qi-Gong” masters in China can create miraculous events at great distances in scientific experiments. It explains that death is an illusion and the Soul lives forever. These are part of the powerful “consciousness shift” that is occurring right now in our world. It is waking us up to the truth that we are not alone in the universe, that we are immortal souls waking up to a magnificent new reality. We are connected to higher planes and other worlds, and our new science will reflect this reality. 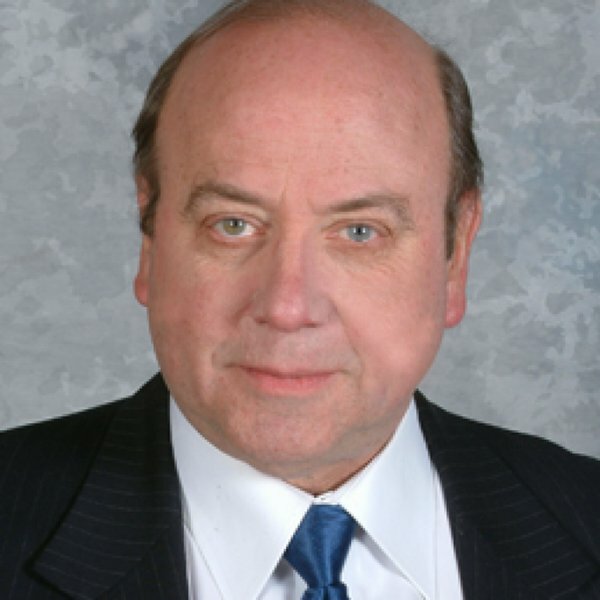 Dr. Swanson’s website www.SynchronizedUniverse.com is being updated. In the meantime, books can be purchased directly from him by emailing Dr. Swanson at ClaudeSwanson@gmail.com. VOLUME 1, The Synchronized Universe, New Science of the Paranormal, is $49. VOLUME 2, Life Force, the Scientific Basis, is $75. Shipping within the U.S. adds $5. Overseas shipping price varies with country. Contact Dr. Swanson for details at claudeswanson@gmail.com. He can invoice your for purchases via PayPal. DR. SWANSON WILL BE SPEAKING AT THE BOULDEREXO IN BOULDER, COLORADO ON APRIL 5, 2019, AND AT THE PARANORMAL RESEARCH FORUM (PRF) IN DENVER ON APRIL 9. HE WILL BE DESCRIBING HIS NEW BOOK, Science of the Soul, The Afterlife and the Shift. VOLUME 3, JUST RELEASED, is Science of the Soul, the Afterlife and the Shift $65. THE SYNCHRONIZED UNIVERSE © 2019. All Rights Reserved.